The Jungle Adventure is tale of little jungle boy that has dream for a treasure hunter. One day a Secret Book was appeared magically in grandpa's mansion, and it leads the little jungle boy to enter an adventureland. Boost jump and run, explore the adventure island. Travel across dangerous Cliff, Demons, Volcano, Desert, Swamps, etc. Collect gems, treasure, and powerup to help you defeat the Demons! It's about jumping games when it comes to trampoline. Also there is a Time, the little jungle boy must pass so much threats to run to target without losing adventure Time. This is one of the best Adventure Games you should have. The game has several challenging levels to play and discover. Jungle Adventure Boy are different from other super platformer type game that had very bad game controller. You can Boost power to fight enemies during adventure time. 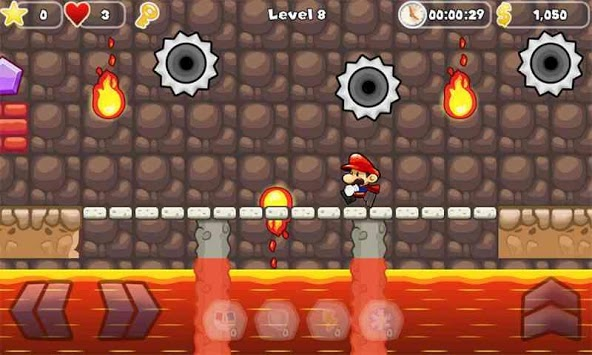 - Use button to jump, move and fire. - Find a way out at the end of the neverland. - Unlock blocking gate with keys. - Kill enemies by firing or jumping on their head. - Collect gems, treasure, fruit and any collectible items to increase your score. 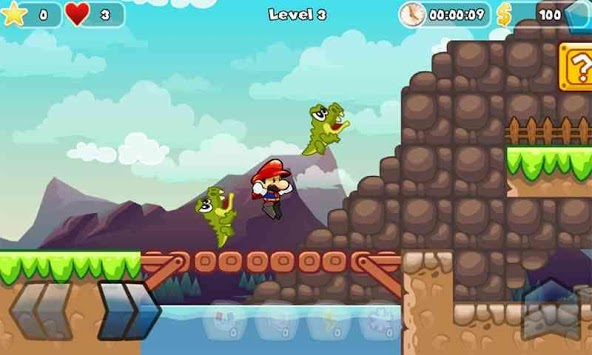 Download Jungle Adventure Boy 2019 now and enjoy the game. 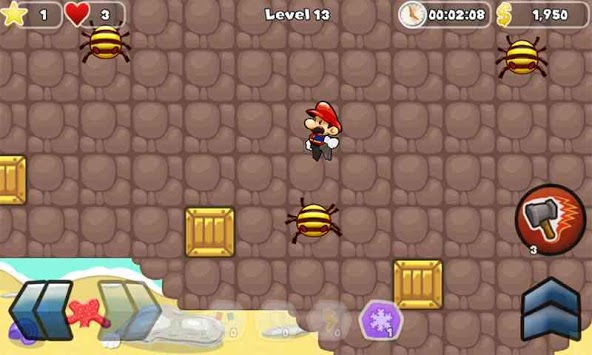 Super Jungle Adventure World is the greatest platform adventure for your android! Everything has been carefully designed for you to have a lot of fun! We warn you, it´s not an easy game so good luck! All this completely free, so you should at least try it. We hope all our players have a great time playing it, please rate and thanks a lot for playing. Thank you download and play my game.